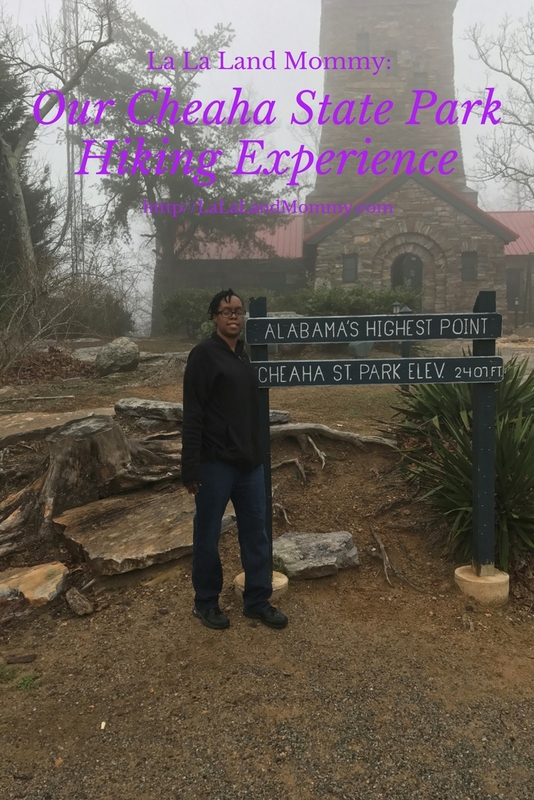 Saturday we visited the highest point in Alabama. This point is located at Cheaha State Park. This state park is a two hour drive from where we live. It is found in Delta, Alabama. The park has 6 hiking trails. 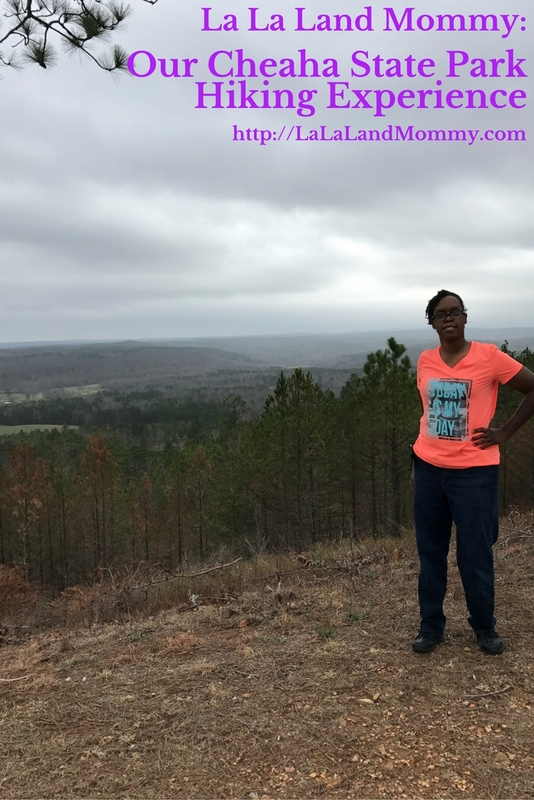 There names are Bald Rock, Pulpit Rock, Mountain Laurel, Lake Trail, and LNT Bigfoot Trail. Some of the trails you can drive up part way and then get closer. The park also has a restaurant and museum. You can also stay on the grounds to camp, in cabins, or in the hotel. The drive up was great. There were a few scenic points along that we stopped to take in. It was a little foggy and drizzled a little but we had to take advantage of the photo opps we were given. The fog made it even more pretty. I am sure it would’ve been simply gorgeous if the sun was out. Then we drove on to the park. 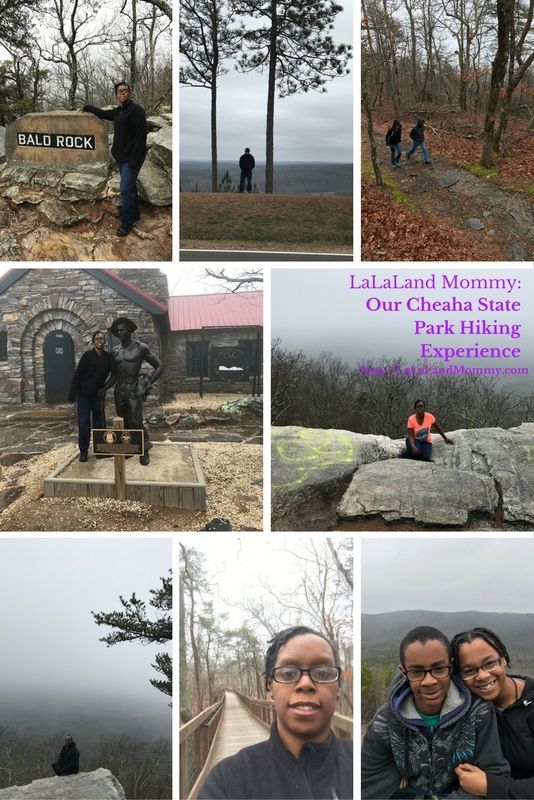 We found out that if you eat at the Cheaha State Park restaurant that you don’t have to pay the admission. Admission is $5 for adults and $2 for kids 12 and under. We opted to drive up part way to Bald Rock due to it drizzling and walk the boardwalk the rest of the way. First we stopped by the observation tower to see the highest point but couldn’t see much do to the fog. After the observation tower we headed to the boardwalk. We had fun walking it. It takes about 20 minutes to walk. We caught a great view of the scenery. 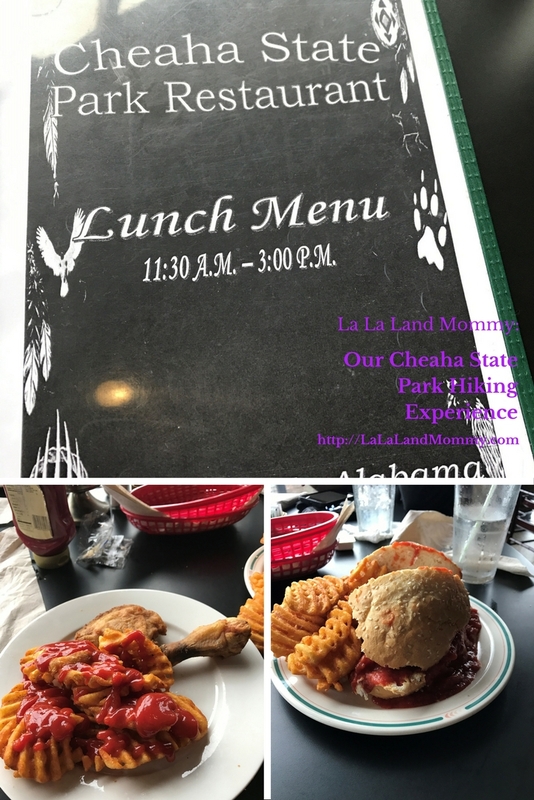 Then we drove down to the Cheaha State Park Restaurant. The restaurant offers a great view to look at while eating. It’s a good thing cause we waited for a little over 20 minutes to get our food. We were told later that it was because it takes the chicken we order about that long to cook. I ordered fried chicken and The Husband ordered chicken fingers. Had we know we would’ve ordered something else. When they brought our food I was disappointed because my chicken was hard, dry, and black inside and some of my fries were hard. Everyone else seemed to enjoy their meal though. The kids had meatball sandwiches called the sleeping giant. Those sandwiches were huge and looked really good. The waitress and manager offered to make a burger for me. I accepted at first but then changed my mind after I was still sitting there for awhile. They were nice enough to take the meal off our ticket though and offered a free dessert but we opted to leave. They were very apologetic. After eating we headed home. The drive was worth the entire experience. Well except for the restaurant. I recommend driving up and checking this park out. 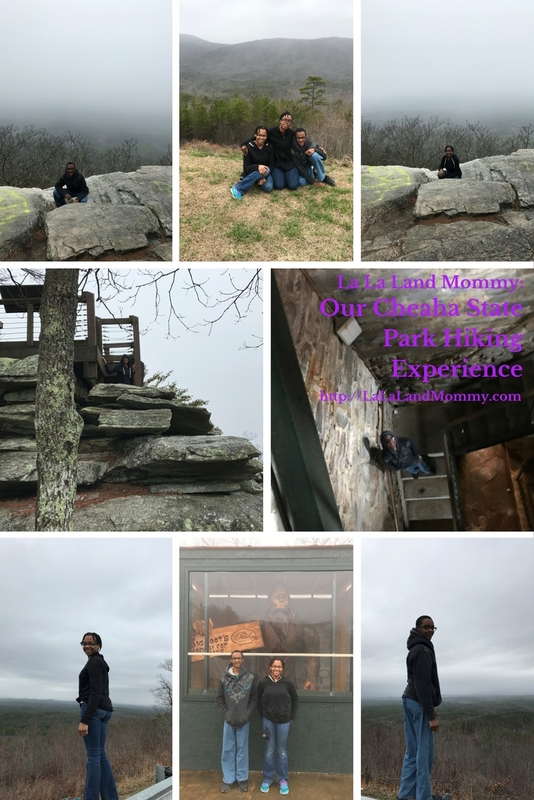 Cheaha State Park is a great trip for the family. I've often wanted to visit Alabama so this give me the perfect reason to do so. I'm sorry that the food was not up to par however I was wondering if your husband sent it back. I hate your meal wasn’t better! Glad you enjoyed the rest of the Park! It is incredible to see in the fall when the leaves are turning! If you ever come back to this area, let me know!! I will definitely let you know. We haven't been hiking this year. 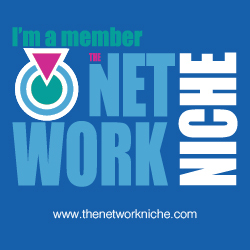 It is possibly time to get that done.